Adiponectin is a hormone. Adipo- comes from the word adipose, meaning fat tissues of animals. Adiponectin, like leptin, is found in fat tissues. Now for the irony: the more fat you’ve accumulated, the less adiponectin circulates through your blood stream. When you start to lose weight, adiponectin begins to flow. The thinner you get the greater your adiponectin levels in your bloodstream. But the more fat you have, the less is secreted to circulate throughout your body. So, in other words, adiponectin is like a cop, in that, when you need one, there’s never one around. Now that you know this, I’m going to tell you how to release MORE adiponectin, lower your inflammation, decrease your appetite, and burn more fat. You knew there was a catch. Yes, just exercise. Walk, bike, play badminton, go bowling, bounce on your re-bounder. As the doctor said: You’ve got 23 and a half hours in the day to rest, sleep, sit. How about just one half hour moving about? 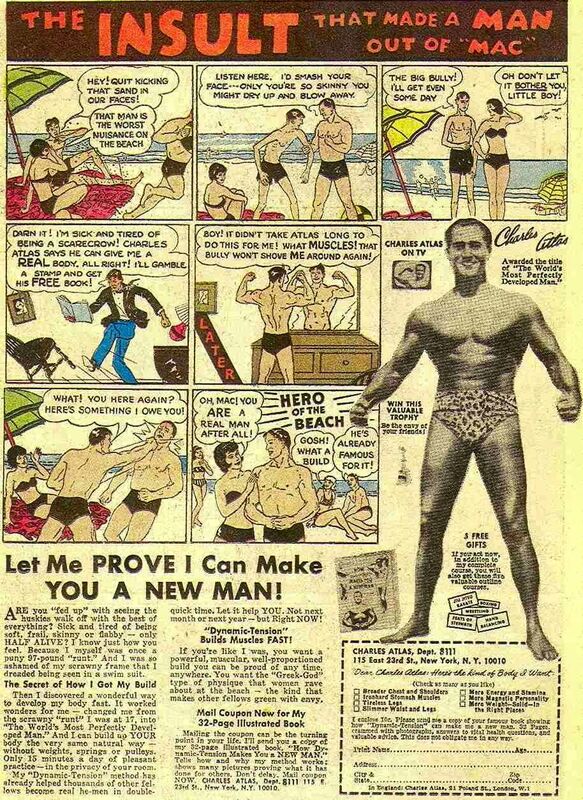 As a kid I was curious and I read Charles Atlas’ story. He was just an average guy, and back in his day, zoos kept animals locked up in cages (most modern zoos try to re-created environments close to those of the animals’ original environments). He wondered how they stayed in such good shape being cooped up in such a confined space, when it hit him one day, watching a caged lion. The lion got up and stretched. That’s it, stretching. Atlas went from a 98 pound weakling to “The World’s Most Perfectly Developed Man” without the use of weights or a gym. He developed this system of isometrics called “Dynamic Tension.” And anyone can learn it. In fact, Atlas died at the ripe old age of 80 in 1972, but his business is still going strong and there’s a website where you can learn to build muscle and burn off calories (and release a lot of adiponectin) in the confines of the cubicle you work out of. Just click on the image above to be taken there. So, yes, that’s one of the best ways to exercise and release adiponectin, but there’s another method, that will burn even more calories, is better than “cardio” (which, ironically, isn’t good at all for your cardiovascular system), and can be done at any age as long as you are careful, and it’s called Dr Alan Sears’ Pace Program. It has been copied, stolen, and plagiarized by many, so I’ll send you to the original, one and only site (as far as we’re concerned) to learn this exercise: Dr Alan Sears’ Pace Program. Atkins was wrong. Sure, a lot of people lost weight on his low carb diet, but they also trimmed a few years off their lives. Our bodies need carbohydrates. We don’t need chips and pretzels and breads and baked potatoes smothered in sour cream. But we need fruits and vegetables for their health benefits and protective nutrition. Some carbohydrates are better than others and now you’re going to learn about some of the best carbohydrates; the ones containing anthocyanins. These also happen to be on the low glycemic load chart, so pay attention. Anthocyanins also increase the amount of adiponectin coursing through your bloodstream. Editor’s Note: Choose organic. I don’t care what reason you have to choose organic foods, from the simple fact that organic farming is sustainable farming to your desire not to poison your family with pesticides, foods raised organically just have more nutrition in them. Black raspberries contain the most anthocyanins, with blueberries coming in a close second. But you’ll never guess number three. Red Cabbage comes in third when we’re talking anthocyanins. Every salad you make should have some red cabbage in it. If you make our very tasty coleslaw, (I.Link)make sure you use a head of red cabbage. And you should know that fresh fruit have a higher anthocyanin count than frozen (the longer frozen the more the amount drops) or dehydrated. Piper betle is an Ayurvedic shrub with over a thousand years of use in India. It supports respiratory and digestive health, and also regulates blood sugar. Dolichos biflorus comes from a seed and has been used as a home remedy for urinary tract infections. It also benefits lipid (fat) levels in our blood. Some guy who wanted to make a million dollars put these two herbs together and discovered that they helped people not just double their weight loss, but slightly more than double their weight loss. On the web, you’ll find people pitching this product under a whole bunch of different names at some outrageous prices. Again, we’ve found the original product at the best price at Swanson Vitamins. It’s called Lowat™. This combination inhibits fat accumulation and potentiates its breakdown, and sure enough, adiponectin has a lot to do with all this. Adiponectin tells you you’re full, and ghrelin tells you you’re hungry. So you can see how this supplement can help people to lose weight. Just don’t fall for some wild sales pitch about how you can lose weight eating your favorite foods and doing nothing; not when you can find it at Swanson Vitamins, and never forget that the more you do, the better it works. So, there you have it. 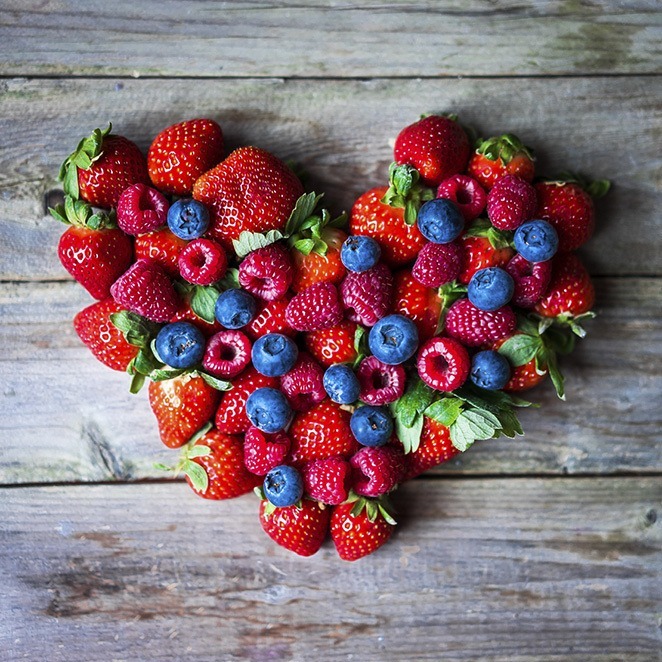 Three wonderful (pretty easy) ways to increase your fat burning, stop the inflammation, and make your body feel full faster while protecting your heart. But just in case, I’m going to leave you with an advertisement for Flexinol (formerly Cardia-7 — click to read about it), because I do believe that everyone over fifty should be taking Flexinol daily to stop inflammation and keep those pipes clean. Flexinol is purified monounsaturated fatty acid on steroids. There is nothing like it, anywhere. And studies have shown that Flexinol, while cutting your C-Reactive Protein in half, turns on fat burning metabolism while increasing expression of adiponectin [Ref.] (although the study was done on mice). Visit Simply the Best if you’d like to try it. Flexinol made my favorites list. I don’t go a day without it. The Pima Indians (I.Link)– A population with little adiponectin.